Nature’s Sunshine Caprylic Acid Combination blends caprylic acid, elecampane root, black walnut hulls, and red raspberry leaves into a powerful formula that supports intestinal health. The herbs in Caprylic Acid Combination assist in maintaing a healthy environment for friendly flora. 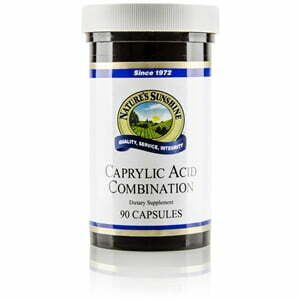 Caprylic acid is a known anti-fungal.